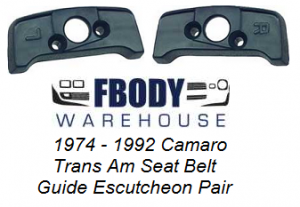 New reproduction seat belt guide mounting blocks for 74-88 Camaro and Trans Am. These mount under the seat belt guide and screw directly into the seat. 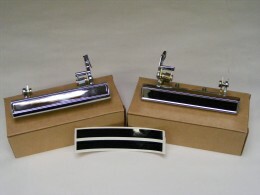 Available in dark blue only, however, we do offer interior dyes to match most GM interior colors. Shipping Available Worldwide, please use drop down menu to choose location. 1970 - 1981 Camaro Full Interior Screw Kit 280 Piece Kit "Pro Edition"